The following was taken from a letter I wrote to someone a long while back about the subject of “not forsaking the assembling of ourselves together” (Hebrews 10:25) which is a common verse cited by many Christians who believe that if you’re not attending weekly religious meetings of some sort or plugged in to a church organization that you are somehow out of sync with Scripture and, for all practical purposes, “backsliding”. Some refer to the “out-of-church” crowd as isolationists, rebels, or walking wounded, and this verse is often given as the prescription. But is “attending church” really what the author of Hebrews had in mind here? I don’t think so. For those interested, I thought I’d share my (not so) little rant. P.S. Much of the information in this letter is drawn from other articles I have written as well as books and resources from other researchers and friends who have written on this topic. DOESN’T THE BIBLE SAY NOT TO FORSAKE ASSEMBLING TOGETHER? First of all, I believe it is essential that we understand the meaning of the word “church” as it is used in our English Bibles. Perhaps this has already been reiterated in other web posts, but I am going to mention this again (in some detail) before tackling the Hebrews 10:25 passage (regarding “not forsaking the assembling of ourselves together”) in more detail. Please note, I am going to attempt to lay some groundwork here in advance of my answer, but these comments, while being historically and biblically derived, are not meant to suggest that Christians should not meet together, share fellowship, pray,k or preach the Word of God. If that is the conclusion someone makes from these comments, then they have misinterpreted my reason of emphasis. I spent much of my life in organized religion in ignorance about a great many of these issues, but also became comfortable with the “pat answers” and traditional religiously-applied logic to explain passages like Hebrews 10:35 and others. It wasn’t until the Lord began to reveal my ignorance to me and open my eyes to the many aspects of my religious life that held no alignment with Scripture, that I started to revisit many of these subjects and seek to be taught by the Holy Spirit rather than the traditions of men. 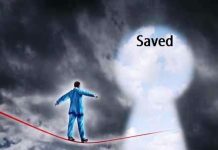 The more I allowed Scripture to interpret itself rather than forcing meaning into it that I had obtained mostly from external religious sources, it was like doors unlocking in my understanding and chains crumbling apart; Freedom at last! This is a process ongoing. My desire is to embrace God’s truth (not just for truth’s sake, but because I love Him and desire to grow evermore close to Him) and I, quite honestly, do not care if the traditions of men (even my own) are offended by His truth. If a person is honest, they will have to admit that when flesh is confronted by the Spirit of the Living God and the truth of Scripture, it often resists submission and humility. But my response to that conviction of Christ and His Word must be to repent and yield, otherwise I only end up hardening my heart and increasing in stubbornness as well as blindness. I want to see clearly with spiritual eyes and walk full in the grace and liberty of Jesus Christ whose precious blood was shed for me. Before I can answer the question of what I believe Hebrews 10:25 specifically has in mind concerning “assembling”, I feel it is important to look closer at what “assembly” is all about in the body of Christ as Scripture presents it. Too many Christians have been raised with a traditionally-inspired definition of some of these terms, and this has served to make them embrace many biblically-inaccurate concepts. First, I would like to look closer at the popular concept of the word “church”as it is understood today in comparison and contrast with the biblical meaning. Many have reasonably presumed that the conveyed purpose for the King’s Bible was to establish a trustworthy translation of God’s Word in the people’s language so that they would no longer be subjected to the religious manipulation wrought by the Roman papacy. While this purpose was indeed conveyed by a number of proponents of the work, I find it especially ironic that the very same authors of this work also sought to manipulate the masses by limiting the common man’s understanding of the text in specific places, thus compounding the notion of essential religious centrality; i.e. the mindset that presumes the establishment of organized religion (and its hierarchy of leaders) is intended to be embraced as the most dominant, essential feature of Christianity (when, in fact, it really has nothing to do with it at all). In case someone might presume otherwise, it should be stated that the King James’s Version of the Bible was not the first English translation. The Bible had already been translated into English in previous times. In fact most of the KJV was copied exclusively from prior English translations. It is a well known fact among many scholars that King James was not a fan of the Bible translation most popular in his day known as the Geneva Bible. There were two major reasons for this. One, because of the Geneva Bible’s Calvinistic leanings and, two, the Geneva Bible had marginal notes to help explain certain texts and some of these notes challenged his view of what he believed to be the divine right of kings to govern the church and stand as its head. James saw the Geneva Bible as a threat to his lordship over the church, and this no doubt fueled much of his ambition to create a Bible version that was officially “authorized” by the king himself. As an interesting side note, even the first pilgrims who came to America did not come toting King James Bibles but read and preferred the Geneva Bible! (Gary DeMar’s book also talks about this.) If you’re interested in more of the details surrounding the King James Version of the Bible, I heartily recommend the excellent book, “The Great Ecclesiastical Conspiracy” by George Davis, Michael Clark and Kirk Pearson (also available free online: download it here). James also used William Tyndale’s version heavily (which is where most of the poetic styling of the KJV comes from), but replaced virtually every reference to organic fellowship and horizontal leadership (as the original language of the Greek presents), and instead kept the old ecclesiastical terminology. In all honesty, it could very well be argued that the word “church” should not even appear in the Bible. 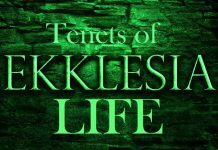 But rather than getting into an enormous discussion over the word, we are accustomed to using and not likely to see change any time soon, I will instead emphasize the actual biblical meaning of ecclesia. I am convinced that there is not that much problem with use of the word “church” so long as we clearly comprehend its intended meaning and use in Scripture. So, for the rest of this letter, I will continue to use the word “Church” appealing to the reader’s understanding that it is the “ecclesia” of God that I have in mind, and I will clarify my use of the term when I am referring to “church” as the human-devised structures and programs of organized religion and institutional Christianity. In every case where we see this word “church” used in reference to believers, it is speaking of the Lord’s Church (his ek-klesis or ecclesia). There are not many brides of Christ, there are not many bodies of Christ… There is only one. Paul spoke concerning the Church with such incredible singularity. Additionally, we never see this word “ecclesia” used in terms of an organization or a building or a denomination – it always, ALWAYS, is a direct reference to the people of God, born into His Kingdom through Christ Jesus. Paul wrote many letters to many people in different locations, but he spoke a singular message of there being only ONE BODY, which is the Lord’s Church. Therefore, in my humble opinion, it is not accurate to say that Paul necessarily wrote letters to “churches” but rather to the Church (Ecclesia) represented in a given city. Though our English translations of the Bible virtually use the word “churches” (plural), the Greek remains “ecclesia” singular! The only exception to this rule is when the author is speaking to communities of believers within a massive region (e.g. the “churches” in Asia). This can be difficult to grasp for many because of the damage that has already been done with the common understanding of the meaning of the word church. There were seven cities in Asia, each one with a single, united community of believers in each city. Therefore the Scripture says, “to the churches in Asia”. This is a plural referencing a singular (for lack of a better way to describe it). Again, ONE body of Christ but identified as present in each city. It is vital to understand these are NOT denominations (for even the very word denomination indicates division). There is no division in the true Church of Jesus Christ (1 Corinthians 1:10)! So what is meant by there being one representation of the Lord’s Church in every city? Again, I am not suggesting this even means one gathering place in each city. We are talking about a spiritual dynamic. It would be the same as saying that if you left Seattle and entered into Portland, you would then be among the Christians in that city. You haven’t left the body of Christ or the Ecclesia/Church by leaving Seattle, but you are simply now among the body of Christ within another town. It matters not whether you visit some designated structure or meeting place because the word “Church” (as it is used in Scripture) has nothing to do with a place, a building or an organization. It ONLY and ALWAYS has reference to PEOPLE. This, I believe, is a most significant fact to regard. Observe the following passages concerning the “oneness” of the Body (the church). Notice how SINGULAR these terms are in every group Paul preached to. Ephesians 4:1-6 – Therefore I, a prisoner for serving the Lord, beg you to lead a life worthy of your calling, for you have been called by God. Be humble and gentle. Be patient with each other, making allowance for each other’s faults because of your love. Always keep yourselves united in the Holy Spirit, and bind yourselves together with peace. We are all ONE BODY, we have the same Spirit, and we have all been called to the same glorious future. There is only one Lord, one faith, one baptism, and there is only one God and Father, who is over us all and in us all and living through us all. Ephesians 5:29-30 – No one hates his own body but lovingly cares for it, just as Christ cares for his body, which is the Church. And we are his body. Colossians 1:18 – Christ is the head of the Church, which is his body. He is the first of all who will rise from the dead, so he is first in everything. Romans 12:4-5 – Just as our bodies have many parts and each part has a special function, so it is with Christ’s body. We are all parts of His ONE BODY, and each of us has different work to do. And since we are all ONE BODY in Christ, we belong to each other, and each of us needs all the others. Ephesians 1:21-23 – Now he is far above any ruler or authority or power or leader or anything else in this world or in the world to come. And God has put all things under the authority of Christ, and he gave him this authority for the benefit of the Church. And the Church is his body; it is filled by Christ, who fills everything everywhere with his presence. Ephesians 4:15-16 – Instead, we will hold to the truth in love, becoming more and more in every way like Christ, who is the head of his body, the Church. Under his direction, the whole body is fitted together perfectly. As each part does its own special work, it helps the other parts grow, so that the whole body is healthy and growing and full of love. The verses (like those mentioned above) are numerous and exceptionally clear! While as one body we have many parts, those individual parts are not defined by attendance of or joining some other separate church organization. Those “parts” are not “other church organizations“. When someone speaks of getting one’s self into a church, what exactly are they suggesting? Are they suggesting that there is more than one church a person needs to “get into”? The biblical fact is that once a person is joined to Christ, he is a full participating member of the Church (the Ecclesia of God); which is the body of Christ. There is nothing else he need join. There is nothing else he can join. There are “parts,” but only ONE Church – and organizations are not those “parts”, neither are religious buildings those parts – PEOPLE ARE THOSE PARTS. 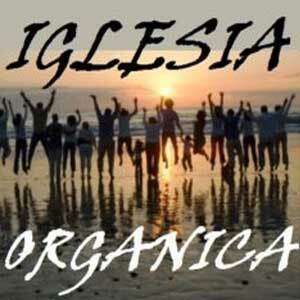 CHURCH (ECCLESIA) IS NOT A BUILDING MADE WITH HANDS. “(You) being stones of the temple of the Father, prepared for the building of God the Father, and drawn up on high by the instrument of Jesus Christ, which is the cross, making use of the Holy Spirit as a rope, while your faith was the means by which you ascended, and your love the way which led up to God. Ye, therefore, as well as all your fellow-travelers, are God-bearers, temple-bearers, Christ-bearers, bearers of holiness, adorned in all respects with the commandments of Jesus Christ, in whom also I exult that I have been thought worthy, by means of this Epistle, to converse and rejoice with you, because with respect to your Christian life ye love nothing but God only.” – The Epistle of Ignatius to the Ephesians; Chapter 9 (30-107 A.D.). “Let us therefore do all things as those who have Him dwelling in us, that we may be His temples, and He may be in us as our God, which indeed He is, and will manifest Himself before our faces. Wherefore we justly love Him.” – The Epistle of Ignatius to the Ephesians; Chapter 15 (30-107 A.D.). NOTE: Felix was a Roman lawyer that converted to Christianity and wrote one of the finest apologies of early Christianity in the form of a dialogue between a Christian and a pagan; hence, this quote is intended to be a pagan’s expressed agitation with the Christian’s perspective on things. Thanks to the influence of the Greeks and the Romans (and eventually the Roman Catholic Church), we now have church buildings, and they have become so adopted as a part of our religious culture that we actually have deceived ourselves to think they are necessary and biblical. We falsely presume that true spiritual growth and fellowship cannot transpire without one of these “churches.” We even end up presuming that our religiously dedicated “church” buildings and programs are equivalent to the Church Christ shed His blood for! In fact, we treat both as one and the same! Ecclesia, by stark contrast, bears no connotation whatsoever of an earthy building, temple or shrine. In the 16th Century, men of God like William Tyndale (Greek scholar and translator of the first printed English Bible) knew it and did not translate “ekklesia” as “church”… They (the religious leaders of his day) called him a heretic and burned him at the stake all because he translated the Scriptures straight from Greek and Hebrew into terms that more closely identified with their original meanings. The Christians in the earliest centuries understood what it meant to “come out from among them and be separate” (2 Corinthians 6:13-18) as we discussed earlier. There was a cost to count that few of us can even compare to; for they gave their very lives for the truth. Isaiah 1:12-17 – When you come before me, who ever gave you the idea of acting like this, Running here and there, doing this and that– all this sheer commotion in the place provided for worship? Quit your worship charades. I can’t stand your trivial religious games: Monthly conferences, weekly Sabbaths, special meetings– meetings, meetings, meetings–I can’t stand one more! Meetings for this, meetings for that. I hate them! You’ve worn me out! I’m sick of your religion, religion, religion, while you go right on sinning. When you put on your next prayer-performance, I’ll be looking the other way. No matter how long or loud or often you pray, I’ll not be listening. And do you know why? Because you’ve been tearing people to pieces, and your hands are bloody. GO HOME and wash up. Clean up your act. Sweep your lives clean of your evildoings so I don’t have to look at them any longer. Say no to wrong. Learn to do good. Work for justice. Help the down-and-out. Stand up for the homeless. Go to bat for the defenseless. Isn’t it funny that God wasn’t interested in their “assembling” while they continued to simply perform religion and still sin. He sends them home! Go take care of business! Let your life speak louder than your mouth! Stand up for the homeless and the defenseless! People ought to be your concern! It reminds me of what James said. James 1:27 – Religion that is pure and undefiled before God, the Father, is this: to care for orphans and widows in their distress, and to keep oneself unstained by the world. God’s Word sounds a loud call to all of those who are His that we are not to be about the business of building and concerning ourselves with earthly cities (religious centers and temples) here on earth (as the Jews did), but to keep our eyes peeled for the city yet to come. That’s where it’s at! That’s where we are to store up our treasures. Hebrews 13:8-16 – Jesus Christ is the same yesterday and today and for ever. Do not be turned away by different strange teachings, because it is good for your hearts to be made strong by grace, and not by meats, which were of no profit to those who took so much trouble over them. We have an altar from which those priests who are servants in the Tent may not take food. For the bodies of the beasts whose blood is taken into the holy place by the high priest as an offering for sin are burned outside the circle of the tents. For this reason Jesus was put to death outside the walls, so that he might make the people holy by his blood. Let us then go out to him outside the circle of the tents (i.e. outside the walls), taking his shame on ourselves. Forhere we have no fixed resting-place, but our search is for the one which is to come. Let us then make offerings of praise to God at all times through him, that is to say, the fruit of lips giving witness to his name. But go on doing good and giving to others, because God is well-pleased with such offerings. I find it interesting again that God does not call us to have large worship services but to live a life of worship – that worship being trademarked with ACTION. The offering He desires is praise at ALL TIMES (not just a Sunday sing-song) and that primarily to be actuated through our doing good and being generous to others who are in need. The time for sitting in pews and thinking this is somehow “fellowship,” or that it constitutes “being assembled” is long over. God is merciful in our stages of ignorance and is patient as we grow. He is so good and so faithful to continue to lovingly guide us and pour out His blessings on us even when while we sometimes ignorantly remained engrossed in traditions that do more to slow that process of growth that aide it. Many churched believers remain in a seemingly perpetual state of babyhood, always dependent on “leaders” to teach them, hear from God for them, do the work of evangelizing the lost for them, entertain them, counsel and encourage them, help them in crises, and direct practically their every move. So many Christians divide themselves according to favored leaders they admire and who give them that sense of security they lack. This dependence on men is a natural byproduct the church system produces. Ironically, it’s not just a byproduct… it’s also the fuel that keeps it running. It is designed to foster spiritually immature children and keep them that way (just enough truth and freedom to keep them happy and pacified). If it fails in this task, the system will crumble for lack of support. It needs these immature foster children as much as they think they need it. But Christ never intended His people to be treated this way. He wants them to move beyond immaturity and grow up into mature men and women of God who rest confident in the leadership of the Holy Spirit more than men and programs. He wants them to find their security in Him alone, not in men and religious programs. 1 Corinthians 3:1-4 – Dear brothers and sisters, when I was with you I couldn’t talk to you as I would to mature Christians. I had to talk as though you belonged to this world or as though you were infants in the Christian life. I had to feed you with milk and not with solid food, because you couldn’t handle anything stronger. And you still aren’t ready, for you are still controlled by your own sinful desires. You are jealous of one another and quarrel with each other. Doesn’t that prove you are controlled by your own desires? You are acting like people who don’t belong to the Lord. When one of you says, “I am a follower of Paul,” and another says, “I prefer Apollos,” aren’t you acting like those who are not Christians? But what has the church organization done today? It has made “worship” a song service that must be actuated routinely in an officially designated building, once a week, and led by professional musicians. The organization has carried over the types and shadows of Old Covenant Levitical priesthood and placed before believers “worship leaders” who mediate and perform and supposedly lead people into the throne room of God. But where is such a concept ever found in the New Testament? Do we really need a modern system of Levites, an elite class, to lead people into God’s throne room? I thought we were afforded the right to come boldly before his throne freely because of Christ’s work. Hebrews 4:14-16 – Therefore, since we have a great high priest who has gone through the heavens, Jesus the Son of God, let us hold firmly to the faith we profess. For we do not have a high priest who is unable to sympathize with our weaknesses, but we have one who has been tempted in every way, just as we are–yet was without sin. Let us then approach the throne of grace with confidence, so that we may receive mercy and find grace to help us in our time of need. No man on earth can “lead us” in worship. 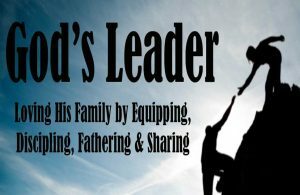 Being led is something that transpires only through direct communication with the Father. And as we’ve already seen in the Word, “worship” is not a song style – it is how we live our lives before Him. I have no problems with song services in and of themselves. It’s a total blast to be in a room with a collective of believers in Christ, singing our hearts out to Jesus. That is wonderful, but there is no mandate for such organization on worship in the Scripture. In fact, the New Testament never describes worship at all in the context of a song service in some weekly meeting. Again, worship is a lifestyle and this importance is far too often overlooked. All of these elements of “the program” deceive people to think that they are fulfilling the Lord’s desires by cramming all of these things into a 2 hour church service each week. People instinctively get themselves into a mode that “if I just do this faithfully every week, it covers all the bases, God is pleased, I’m doing my duty, I am “assembling” as the Bible says, and I’m growing spiritually.” It is so easy to fall into the trap of thinking our righteousness is based on and maintained by works and things like church attendance. That is why I believe organized religion is so dangerously deceptive. The same was true in the first century. Paul was stunned that these believers who had experienced such great freedom and joy in Christ were now turning back to religious practice. They still believed in Jesus. They still wanted to follow God, but they had allowed themselves to move away from the simplicity of their devotion to Christ and were replacing it, little by little, with religious observation. Galatians 3:1-5 – You crazy Galatians! Did someone put a hex on you? Have you taken leave of your senses? Something crazy has happened, for it’s obvious that you no longer have the crucified Jesus in clear focus in your lives. His sacrifice on the Cross was certainly set before you clearly enough. Let me put this question to you: How did your new life begin? Was it by working your heads off to please God? Or was it by responding to God’s Message to you? Are you going to continue this craziness? For only crazy people would think they could complete by their own efforts what was begun by God. If you weren’t smart enough or strong enough to begin it, how do you suppose you could perfect it? Did you go through this whole painful learning process for nothing? It is not yet a total loss, but it certainly will be if you keep this up! Answer this question: Does the God who lavishly provides you with his own presence, his Holy Spirit, working things in your lives you could never do for yourselves, does he do these things because of your strenuous moral striving or because you trust him to do them in you? 2 Corinthians 11:2-3 – For I am jealous over you with godly jealousy: for I have espoused you to one husband, that I may present you as a chaste virgin to Christ. But I fear, lest by any means, as the serpent beguiled Eve through his subtlety, so your minds should be corrupted from the simplicity that is in Christ. It is foolishness to think that most Christians aren’t likely to get distracted by such things, but the Scripture tells us that even the great apostle Peter, who walked with Christ in the flesh, compromised the truth and yielded to organized religion and was rebuked by Paul before the assembly! Galatians 2:11 – Later, when Peter came to Antioch, I had a face-to-face confrontation with him because he was clearly out of line. Galatians 2:13-21 – Unfortunately, the rest of the Jews in the Antioch church joined in that hypocrisy so that even Barnabas was swept along in the charade. But when I saw that they were not maintaining a steady, straight course according to the Message, I spoke up to Peter in front of them all: “If you, a Jew, live like a non-Jew when you’re not being observed by the watchdogs from Jerusalem, what right do you have to require non-Jews to conform to Jewish customs just to make a favorable impression on your old Jerusalem cronies?” We Jews know that we have no advantage of birth over “non-Jewish sinners.” We know very well that we are not set right with God by rule-keeping but only through personal faith in Jesus Christ. How do we know? We tried it–and we had the best system of rules the world has ever seen! Convinced that no human being can please God by self-improvement, we believed in Jesus as the Messiah so that we might be set right before God by trusting in the Messiah, not by trying to be good. Have some of you noticed that we are not yet perfect? (No great surprise, right?) And are you ready to make the accusation that since people like me, who go through Christ in order to get things right with God, aren’t perfectly virtuous, Christ must therefore be an accessory to sin? The accusation is frivolous. If I was “trying to be good,” I would be rebuilding the same old barn that I tore down. I would be acting as a charlatan. What actually took place is this: I tried keeping rules and working my head off to please God, and it didn’t work. So I quit being a “law man” so that I could be God’s man. Christ’s life showed me how, and enabled me to do it. I identified myself completely with him. Indeed, I have been crucified with Christ. My ego is no longer central. It is no longer important that I appear righteous before you or have your good opinion, and I am no longer driven to impress God. Christ lives in me. The life you see me living is not “mine,” but it is lived by faith in the Son of God, who loved me and gave himself for me. I am not going to go back on that. 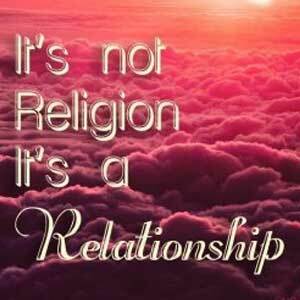 Is it not clear to you that to go back to that old rule-keeping, peer-pleasing religion would be an abandonment of everything personal and free in my relationship with God? I refuse to do that, to repudiate God’s grace. If a living relationship with God could come by rule-keeping, then Christ died unnecessarily. The book of Hebrews talks about a separation from the old religion of Judaism and a drawing unto Christ alone. This was a hard message for the Jews to hear because Judaism was their whole life and their whole perceived connection with God. In their minds submitting to the practice of organized religion was godliness (and new Christians were also being swept right into this religious influence). But the author places his message in no uncertain terms, “You must leave that camp and join yourself to Jesus Christ even if it means you bear His reproach.” Reproach by whom? Whom do you suppose, given the context of that passage? Who was it that rejected Christ and called Him a blasphemer? Was it not the religious Jews? The sinners even invited Him into their homes, but the religious cast Him out. We do not have a city or a building on this earth that represents the Lord’s Temple. Anyone who teaches such does not teach the truth. Our “temple” is holy; it is comprised of God’s people. Our city is not of this world and is not represented by a physical building of wood and stone, so why bother with trying to build one here? It may be time that we take another look at the early Christian believers to see what they embraced. It is time we seek to refresh our understanding of the Ecclesia of God; that it is not defined by a building or a religious program. We must leave all that old religion behind and passionately follow Him. It may mean that we won’t be so popular among the religious community. We may be misunderstood or even rejected completely. But we can take comfort, knowing that so was Christ, and we can share in His blessing because we have left all to follow Him. Hebrews 13:12-14 (GW) – That is why Jesus suffered outside the gates of Jerusalem. He suffered to make the people holy with His own blood. So we must go to Him outside the camp and endure the insults He endured. We don’t have a permanent city here on earth, but we are looking for the city that we will have in the future. I do want to look closer at the reference of Hebrews 10:25, but I wanted to lay a strong foundation for this word “church” (ecclesia) as it is rendered and understood in the original languages and how the apostles and Christ Himself detested organized religion, considering it an obstacle to faith. It is a fact that the early Christians knew nothing of church the way we know it today. They were a community of believers and they interacted with each other as a family, not as members of some religious organization. They didn’t build institutions of worship and Christian education. They didn’t congregate to hear one guy preach at them for an hour. There were no liturgies in their gatherings. Their meetings were informal and everyone participated, (In fact, there was so much participation that sometimes their meetings together led to some disorder which Paul lovingly helped them restore focus without squashing their zealousness to minister to one another). Their lives centered around Christ, not around their meetings. They were a body who built up one another, person to person, on the faith of Jesus Christ. This is so important to understand because their concept of meeting together and their concept of the Church was virtually 180 degrees apart from what we consider the church and fellowship today. When we first realize this, it brings passages like Hebrews 10:25 that have been so abused and removed from context into proper light. I thank God that He did not say any of the things that most folks suggest in that verse. He did NOT say to make sure you attend a good church organization every Sunday. He did say, however, to not forsake the assembling of ourselves – or as one scholar translated this “the episynagogue of one another” (epi-synagogue refers, in concept, to a “Christian” version of the Jewish synagogue or meeting), so this scholar meant to convey the idea that this “gathering” is satisfied, not according to a literal meeting place as was the case with the Jewish synagogue, but rather that this is spiritually qualified by the nature of our mutual fellowship in Christ (thus the “episynagogue of one another”). There are at least two important aspects here that must be regarded. The first I will emphasize by quoting the passage in its complete context. Note that the author here is not talking to some little church organization but to the entire body of Christ; which includes all of the called out ones! Hebrews 10:14-25 – For by that one offering he perfected forever all those whom he is making holy. And the Holy Spirit also testifies that this is so. First he says, “This is the new covenant I will make with my people on that day, says the Lord: I will put my laws in their hearts so they will understand them, and I will write them on their minds so they will obey them.” Then he adds, “I will never again remember their sins and lawless deeds.” Now when sins have been forgiven, there is no need to offer any more sacrifices. And so, dear brothers and sisters, we can boldly enter heaven’s Most Holy Place because of the blood of Jesus. This is the new, life-giving way that Christ has opened up for us through the sacred curtain, by means of his death for us. And since we have a great High Priest who rules over God’s people, let us go right into the presence of God, with true hearts fully trusting him. For our evil consciences have been sprinkled with Christ’s blood to make us clean, and our bodies have been washed with pure water. Without wavering, let us hold tightly to the hope we say we have, for God can be trusted to keep his promise. Think of ways to encourage one another to outbursts of love and good deeds. And let us not neglect our meeting together, as some people do, but encourage and warn each other, especially now that the day of his coming back again is drawing near. Didn’t Jesus say that when as few as two or three come together He would be there with them? (Matthew 18:20) Many Christians have even twisted this verse and changed the word “three” to “more” to justify their massive meetings. They say, “whenever two or more are gathered.” The text, however, speaks in very intimate terms. Think about this in the natural… How easy is it to gather with just a few friends and be united together in purpose and conversation. It gets very difficult; however, the larger the number grows. What most people would feel comfortable sharing amidst a couple of close brothers or sisters in Christ, the same would not likely be willing to tell a crowd of people. Perhaps when Jesus said “two or three,” He simply meant “at least that many”. I don’t want to presume too much. I’m just making an observation here. Another brother (Neil Girrard) actually shared this thought with me and I found it interesting. Anyway, it makes simple sense; especially when we consider what is clearly known about the early believers – they frequently met together in their homes and shared meals together. 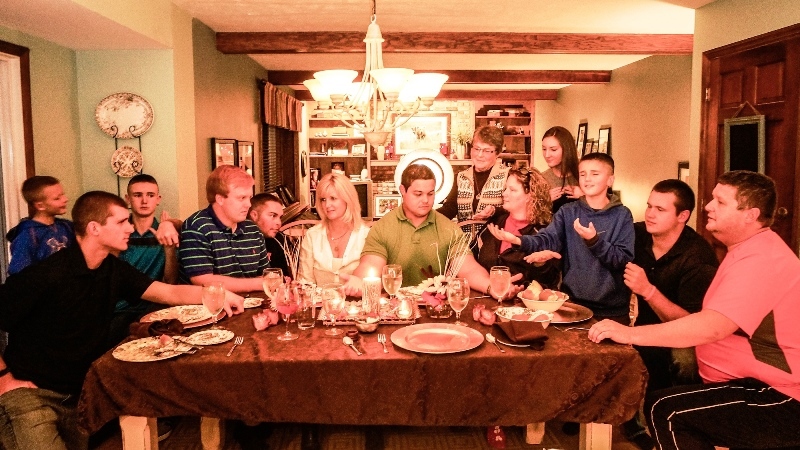 It’s pretty hard to cram 5,000 people in a small room, especially around a dinner table. Even the early Church father Tertulian (late second century A.D.) acknowledged that even if just two or three come together, there is the church present (i.e. a representation of the body of Christ). So “a church” is not described by a building and a program, BUT BY PEOPLE! This is critical to understand because you can’t have it any other way. The Church is not both a people and a building (for Scripture provides no such definition). You can’t tell people they need to get into a church so that they will be “assembled” because it’s misleading. People typically understand that this means they must find some organization to join (or at least attend regularly). Whether you have said it or not, this implies also that attendance and membership in this organization somehow validates their faith (because real Christians go to church). If we say such things, we impose a legalism that God’s Word never imposes, and we begin to center our lives around something that God’s Word never tells us to center them on. By all means encourage fellowship with other believers (pray together, sing together, share the life of Christ together), but we should not tell people to get signed up in religious organizations (for the sake of fellowship). When we encourage that, we do so without any authority of Scripture. Notice something else here… The passage in Hebrews 10:25 says to exhort one another (i.e as it refers to this assembling) “even more” as you see the day approaching (the definition of the Greek text confirms this as the words “even more” or “much more” means with greater frequency”). Why would the author say “even more” unless it was such that they did not meet all that frequently? Simple logic tells us that he was encouraging them to pull closer together and encourage each other more and more as the days got more difficult. What you end up with here is actually more evidence that Christians did not meet for “church services” or even so-called “fellowship” on a regular basis any more than you can extract any notion that this is somehow what this passage prescribes! “Exhort one another even more” does not mean “schedule more church services and make sure everyone religiously attends them.” Exhort (according to its definition in the original Greek) means – “to call to one’s side, to speak to, to encourage and comfort”. Clearly this is possible on any number of levels without necessitating the exorbitant waste of financial resource in a building and a weekly program (let alone scores of rituals, liturgies, and other traditional religious practices – virtually all of which are not identified anywhere in the New Testament Scriptures). This “exhorting even more” could transpire very simply through letters, phone conversations, or in person. It is simply IMPOSSIBLE to conclude from these passages of Scripture that “not forsaking the assembling” has anything to do with scheduling and imposing a requisite of weekly “church” attendance on believers in Christ (let alone putting pressure on folks to “give” and finance such things). At the very least, as we just observed, this was a special call to encourage the believers to get together because rough times were on the horizon, but the call is as simple as it was stated. One just cannot infer weekly organized “church” meetings with this passage. To do so is dishonest and a misuse of Scripture. When we do things like this (no matter how good our intentions might be), we remove the simplicity and profoundness of the family characteristic of the body of Christ and we force organization and cold, dead institutional religion into it. We also imply and impose an unbiblical mandate on (and division from) those who genuinely love the Lord and might even want to fellowship with us but who are essentially pushed away by this “thing” that has taken the place of Christ Jesus residing at the center of any relationships that might occur. By pressing into a passage 1,700 years of pagan-inspired religious tradition (which, sadly, has influenced the Christian Church but has no ground in the Gospel) a division is made among believers that God has not sanctioned, and it is, in this author’s opinion, a component of the spirit of anti-Christ! Sorry to have to put it so bluntly, but there you have it. 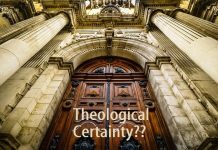 Thank God that most of the early Christian Church, and even many of the reformers and great theologians of times past, rightly defined the word “church” as it appears in Scripture – leaving out all the traditional nonsense that has been added to it. What has become of Christians today that they are more willing to accept the false definitions of tradition (and hold those as essential doctrine over others) rather than the simplistic and absolutely clear design of Scripture? And who are these men in the pulpits that see fit to excuse themselves from biblical realities and invest their own religious bias on zero authority of Scripture? 1 Peter 2:2-5 – “As newborn babes, desire the sincere milk of the word, that ye may grow thereby: If so be ye have tasted that the Lord is gracious. To whom coming, as unto a living stone, disallowed indeed of men, but chosen of God, and precious, ye also, as lively stones, are built upa spiritual house, an holy priesthood, to offer up spiritual sacrifices, acceptable to God by Jesus Christ. Note that in the preceding passage (and the one in 1 Corinthians 3:9) the term “building” is used metaphorically to describe the united body of Christ, who Himself is the foundation, the very cornerstone, of the Church. Note also that it is Christ Himself who is responsible to hold all of us together and cause us to grow and mature into that which He has desired. What is the responsibility of apostles and prophets in this “building”? Their role is to set people’s attention upon Christ! The foundation they lay is not a moral system of religion (or some kind of religious establishment), but it is Christ the Lord. This is immensely significant! Though it may be uncomfortable, I feel I must reiterate that the religious organization that people today refer to as “the church” is merely an establishment of man, built by human hands, maintained by human effort, and employed by human agendas and schedules, and difficult as it might be to swallow, human authority structures. This “system” is not once defined anywhere in the Word of God as being something that makes you any more or less a part of the body of Christ Jesus! It is wrong to judge a brother or sister in Christ who is not a “member” of a “church.” That does not in the least invalidate their standing with God and their validity as a member of the Lord’s true Church! Nor is it any indication of their level of spiritual maturity! Does someone want to join an organization or religious club? Fine, but NEVER elevate that organization over the body of Christ and then make it an idol by calling it His Church. Does someone want to belong to some denominational church? Ok, but they should not turn their nose up at those who don’t “worship” the system (or that don’t worship at the system) or regard it as being God’s prized invention and special interest. We had all better start regarding God’s people as the precious jewels they are regardless of what organization they may or may not belong to. And, no, I am not talking about some kind of new age Christian unity where all faiths are represented as one (just in case someone might take this way out of context). But I am certainly saying that we had better learn to properly discern the Body of Christ and STOP calling institutional religion “Christianity”. Christians in many institutional churches often tend to look at each other and pass judgment because they esteem this organizational thing as being so vital to their Christian experience. Friends, we need to approach our Christianity from a relational aspect; relationship with Christ, a life centered around Him, and a love sparked by His grace and His presence in our lives, and the experiential knowledge of who He really is and all that He has done for us. Second to this being enthralled with Christ, we must become relationally-minded towards one another, NOT INSTITUTIONALLY-MINDED! A meeting, in and of itself, is not evil, and I am not suggesting that. Organization also has its place. It is good for saints to meet together (especially as the Spirit of God draws Believers together in assembly) and the Scripture confirms that we should not neglect to do so (Hebrews 10:25), but are we engaging in the right kind of meeting; the meeting that we see exampled in Scripture? Do we realize that it only takes 2 or 3 simply gathered in agreement (Matthew 18:20) to constitute a meeting where the Lord’s presence is manifested? Do we realize that this may occur with spontaneity as the Spirit moves and does not even need to be scheduled as some kind of weekly regiment? Do we understand that “church” is not a building, not an organization, not an institution, not a program, not a “ministry,” not a scheduled meeting with list of required rituals and a liturgy that need be performed routinely, but CHURCH IS WHO WE ARE TOGETHER!!! THE BODY OF THE LORD JESUS CHRIST!!! You know, a lot of times, Christians say they believe this… yet they continue to emphasize things that are not the least bit essential. They say, “We’re all about Jesus,” but they still feel this need to advertise their “brand”. They say, “We don’t mind if you’re a person who doesn’t like church or that doesn’t attend one, we love you and welcome you because our lives our connected to Christ,” but then they continue to go on about “our church” this and “our church” that (employing all kinds of methods to advertise their brand of church and why it’s different, better, or whatever, and why you need to get involved with them), making it very apparent that “church” remains at the center (or at least very near the center) of their conversation and experience. To a person who really is not interested in the whole program of religion (i.e. “church world”), the tactic of a church organization to suggest they are “the church for folks who don’t like church”, is laughable and completely unappealing… In fact, the mere fact that an organization would advertise itself that way, is like placing a flashing neon sign on it saying, “We are exactly what you’re not looking for, because everything is about church for us!” This is not something that probably a lot of folks will understand who enjoy their institutional brand of churchianity. To the person who loves the idea of being a part of a “non-churchy church that doesn’t care if you don’t go to church or like church, but really ought to come to their church because their church is not like any other church“, they will not likely understand why a follower of Jesus that doesn’t center their life around church could not be at least a little bit interested in what they have to offer. The reason is we are not looking for fellowship with a religious program (for most of us have done that and, quite frankly, are done with that), but we DO want to enjoy the fellowship that exists in Christ among our family in God… if they will allow it. Sadly, many who claim to be part of the Body of Christ are not often willing to engage in extended fellowship with members of the Body of Christ who may reside outside the confines of their religious environment. If this does ever occur, it is generally an awkward environment, as one person is silently “concerned” about the other person who is not in church, while the other person (who doesn’t attend church) is feeling the weight of that unspoken “concern” and trying to maneuver around the Christianese they no longer speak and no longer relate to. So even when both people try to enjoy fellowship without worrying about “church”, very often church still inserts itself because it has become so much a part of the churched-person’s thinking and activity, and they have not learned how to function without it. By the same token, quite often the person who no longer participates in institutional church activity finds it incredibly difficult to know how to navigate around the church person’s thinking and conversation since they no longer identify with that. This can be especially difficult if a person’s exodus from “church world” was due to spiritual abuse, wounds from other Christians, or by leadership, doctrinal error or some other action (as they may tend to presume these negative things are a normal part of everything bearing the label of “church”). Whether “in church” or “out of church”, so often the devil uses this very thing (i.e. “church”) to drive division among members of Christ’s body. I do think it’s very important to remember that the influential mindset of “churchianity” has infected and damaged so many people (many without their even realizing it yet) and that applies to both those within and without religious institutions (since many, if not most, who are “out of church” once were “in church” and still deal with the effects of that long-term programming that occurred). 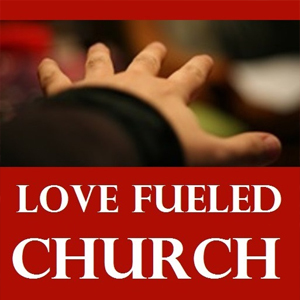 Though the “out of church” person may have made it their emphasis to detach from churchianity, they may be failing by making “out of church” an emphasis at all. Christ alone must be the emphasis! We must allow the grace of God to rule our hearts, and we must continue to tune our hearts to the voice of the Spirit of God. As we learn to listen to the Spirit of God, and as we allow the Love of God to transform us, He will lead us through each encounter, and He can help us overcome the obstacle of “church” (even the very concern about “church”) so that we see with new eyes. What I am saying is that even those of us who believe we have been freed from churchianity, can fall into the trap of thinking we have “arrived” and can become as much of an obstacle to the work of the Spirit as those we believe are bound within the mindset of churchianity. All of us, whether “in church” or “out of church” must come to the realization of what the Lord’s Church really and truly is, and we MUST regard one another accordingly! If we can do that, and if we each can submit to the Spirit of God and respond in the Love of God, then I believe the right kind of Christian unity can begin to emerge and devil will be dealt some heavy blows! I’m taking some time on this because I believe it is so important that we get our eyes back on the pure Christianity we see modeled by the early Believers in Scripture. As we begin to be moved by their example, which was to live IN the fellowship of Christ DAILY, we will stop spending so much focus on all distractions from that truth! All of us need to come to a better understanding of what the fellowship of Christ is. All of us need to come to a greater revelation of what the Assembly is! As the Holy Spirit guides us into the desire of the Father and as we submit to that desire, we will continue to shed any and every old mindset that is not from Him. As we begin to really see that the biblical concept of assembly has really NOTHING to do with organized religion or institutional churchianity, then we will stop dividing up the body of Christ with that unholy blade. Would to God that we would allow the Spirit of God to purge the errors from our thinking and truly unite us together in Him. Would to God that we would stop trying so hard to figure out how to “have church” and just realize that we, who follow Christ, ARE THE CHURCH! Instead of trying to schedule God into a static weekly routine, maybe we should just flush the routine and give Him our whole lives to move us as He so desires. Maybe instead of wasting time with things like “worship practice” to prepare for a weekly performance, we should actually make worship a practice of our daily lives; one that comes wholly from a place of sincerity and truth before God. Maybe instead of centering our attentions on the “weekly sermon monologue”, where we suppose this is how we are to be “spiritually fed”, maybe we ought rather to begin speaking to one another, as the Bible indicates, by teaching and helping one another with songs of praise and holy words, making melody to God with grace in our hearts (Ephesians 5:19 & Colossians 3:16). Instead of some kind of routine drop-in-the-bucket style of “giving” where pastors announce that it’s “time to give tithes and offerings” (something never uttered by anyone in the New Testament Church), we out to finally come to the understanding that Christ is to be our motivation wholly in all things… especially giving! It cannot be regimented by some church routine. It cannot be mandated by some legalistic practice. True giving must be actuated of complete free will and by direction of the Holy Spirit and the motivation of God’s love working in our hearts. This kind of giving marked the behavior of the first century Christians. If flowed genuinely and freely out of their hearts because of God’s work in them, not because there was some rule to perform it on Sunday. 2 Corinthians 8:5 – This was totally spontaneous, entirely their own idea, and caught us completely off guard. What explains it was that they had first given themselves unreservedly to God and to us. The other giving simply flowed out of the purposes of God working in their lives. Christians must stop thinking of “giving” only in terms of something they put in an offering plate at a religious service (as a component of “church practice”). Giving, as taught by Christ and His apostles, never involved the maintenance of religious organization and the financing of professional leadership paradigms. Rather gifts were given (both financial and of material possessions) to care for the real physical needs of other people (and, yes, sometimes that included apostolic workers). In fact, the apostles and pastors were generally only involved with collecting these things when the need arose to carry them to the people of other cities that were struggling and for whom the gifts were collected. There is simply no example of the kind of so-called “giving” we observe in today’s so-called “churches”. It is abundantly clear from Scripture that the apostles taught plainly that giving was a matter that each person decided on their own and according to their relationship with the Lord and love for one another. It really is to be that simple! 2 Corinthians 9:7-10 – Each of you must make up your own mind about how much to give. But don’t feel sorry that you must give and don’t feel that you are forced to give. God loves people who love to give. God can bless you with everything you need, and you will always have more than enough to do all kinds of good things for others. The Scriptures say, “God freely gives his gifts to the poor, and always does right.” God gives seed to farmers and provides everyone with food. He will increase what you have, so that you can give even more to those in need. My point is that so much of what passes for “the assembly” today (i.e. church as we know it), is not really the kind of assembling the Scripture refers to at all. All the things that religious man has added and used as part of his definition of “church” is a definition entirely foreign to that given by Scripture; of the Lord and His apostles. I hope I’ve been clear enough in stating that I do not hold that there is necessarily anything wrong with attending or belonging to a club or some organization, just don’t call it “the House of the Lord” and PLEASE don’t call it “the Church”. If you like where you are and think all of this stuff is just too radical, that’s fine, stay put and pursue the Lord with all your heart, just please don’t judge and reject other Christians who choose to “meet” in other ways or that don’t choose to “join” a “church” at all. I know that God is merciful and He is able to deal in each of our lives with grace, patience, and love. I spent better than 30 years of my life in the institutional church and believed a lot of stupid things, but God still penetrated through all of that and touched my heart. He led me along by His grace, and He fed me, nurtured me, and changed my life. He poured out his renewing power in my life and filled my home with His manifest presence. Whether in “church” or out of “church,” the standard set by Jesus of Spirit and Truth still applies to us all. God is looking into our innermost being for sincerity – not religion. Because my heart of hearts has been set on Him, the institutional church wasn’t a complete obstacle , and God still connected me with true and sincere saints within that system to provide an element of communion together for a season. I believe the same is true for every one of His dear children. As much as I am weary of the routine called “church,” and as much I believe it hinders spiritual growth in so many ways, I all the more believe that God is faithful, and He is so amazing and good, and He can touch people’s live inside. I would be lost if this wasn’t true about God! If God waited until we got everything perfect, we’d all be dead with no hope of touching him. But just because God is merciful to our shortcomings and longsuffering, kind and forgiving, doesn’t mean we should use that mercy as a license to remain in sin, ignorance, and stagnation when we come to a knowledge of the truth and experience the revelation of the Lord; that He is more than religion and He has more than our human attempts to orchestrate religious activity can possibly offer. With all my heart I believe there is higher road! I am seeking to ride on it! I want to learn how to fit into God’s more excellent way. At the very least, I know that I will never place something so insignificant as an institution of religion in between my relationship with God and with other believers. Finally, I wish to convey that there appears to be a broader reference concerning “assembling” in the Hebrews 10 passage. It seems, judging by the context, that the “assembling” in discussion is not merely some endeavor to get together, but is a more serious and eternal matter. The whole lead up to verse 25 speaks about our coming to Christ and verse 26, immediately after the “assembling” passage, starts warning us not to apostatize from the Faith. It would seem to me that the more pertinent reference in this passage is to not forsake the assembling together in terms of apostatizing from the truth! Every reference in the passage speaks in terms that indicative of the entire body of Christ – not some small group here and there. In this letter I have emphasized assembly in the broadest spiritual sense but also referred to the small gathering. I am compelled, however, to presume that this passage in Hebrews has little to do with “meetings” together at all (though, understand, I am not suggesting that it condemns them either). The one might compliment the other, but “meetings” in an of themselves is NOT what this passage has in mind, and I believe that should be clear by this point. The more we realize what the biblical definition of Church is (i.e. the “Assembly” of Christ), the harder it becomes to fit the modern concept of it into the text. I know from one conversation I had with an institutional pastor several years ago, that there is a natural fear among many religious leaders in churches (including the man I spoke to) of these kinds of concepts, because they may tend to unravel the mummy that has been in existence for so long. When you start embracing the liberty of the Spirit and return to the notion of Christ as Leader and Lord, then these other established pillars of religion begin to crack and give way. While this sounds like a good thing to a free person, it can be a terrifying thought to the one who clings to the established religious order and depends upon its controls and perceived benefits. But just as I used the analogy of unraveling a mummy, so do I believe that the more that people open their eyes to see the rotting carcass of religion that is wrapped inside, the less they will desire it, and the more they will desire to see a true manifestation of the Lord’s Church the way He desires it! Pastors, instead of trying to hold on to that which God has not desired, should instead be preaching and teaching that which He does desire! Sadly, that’s not likely to occur so long as they believe this threatens their livelihood and positions of control and perceived authority. Still, I am hopeful that there are some godly men and women out there who are willing to allow the Lord to open their eyes, soften their hearts, and change their course. I hope and pray that many will begin to recognize what the Church is and to flee what it is not… Not for the sake of merely leaving that old system behind, but for the sake of embracing everything God desires and to see His will and His kingdom established for the glory of God!!! May God bless each of you as you continue to walk in the freedom He has given and the wonderful truth He has established! Very good article. We are the Church and living with God daily. We are all equally important and functioning parts of the body with Christ as the head. We need our brothers and sisters in Christ but we can have fellowship any day, any where, not just in an organized service in a building on a set day. If we want to be part of an organized service that is fine. If you are out of organized religion and never walk into a church building, do not feel guilty. God is with us and leading us either way. We can have fellowship, usually even more meaningful fellowship, meeting with others as God leads whether in a building, a house, a restaurant, a park or a pub. We are the Church each and every day.